How to check which driver is installed: TDI or WFP? I'm getting random crashes, and as per this advice I need to switch the filtering driver. How can I check which one I have installed so I can choose the other one? 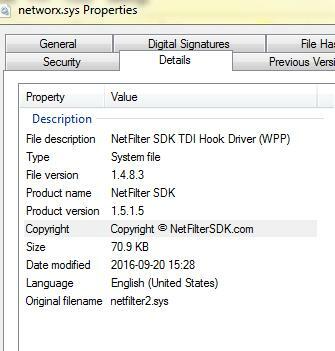 Check the file properties of networx.sys in C:\Windows\System32\drivers. It should mention TDI or WFP in the file description.